Thank you for your enthusiasm, passion and creativity both in and out of the classroom. You have a big part in educating little Hoosiers, and we appreciate you for including us in teaching your students. Take a look below to see what’s coming up next. 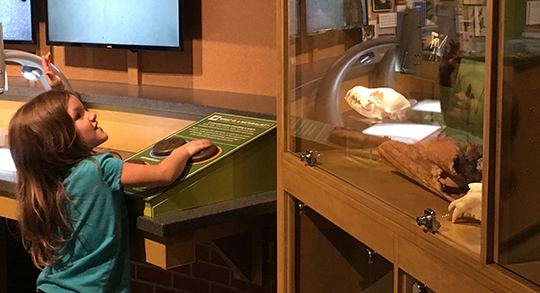 Ice Age Survival, Engineering Design and Voices from the Past are just a few hands-on programs we can bring to your classroom. If unpredictable fall or winter weather has you worried, give us a call, and let us teach your students from the warmth of your classroom. Learn more about our outreach programs. Educator activity of the month - Slime is a hit with students of all ages. However, for educators it’s a great way to teach about non-Newtonian fluids. Try one of our favorite recipes for Gak, provided by PBS Kids. We still have spots available for your students to join us Dec. 11 from 10 a.m. to 1 p.m. at Statehood Day to celebrate Indiana's birthday. Hear a short presentation by Indiana's leaders, including an Indiana supreme court judge, and listen to the winner of the Statehood Day essay contest read his or her essay about "Why I am proud to be from Indiana." Hear those bells ringing off in the distance? That means the holidays are arriving! Just for this special season, Preschool Fridays will offer interactive story time with elves, building snowmen and early access to the Santa Claus Express train. Field trip students of all ages can ride the Santa Claus Express, and visit Santa’s Workshop to create and play. A variety of demonstrations and activities are scheduled daily.